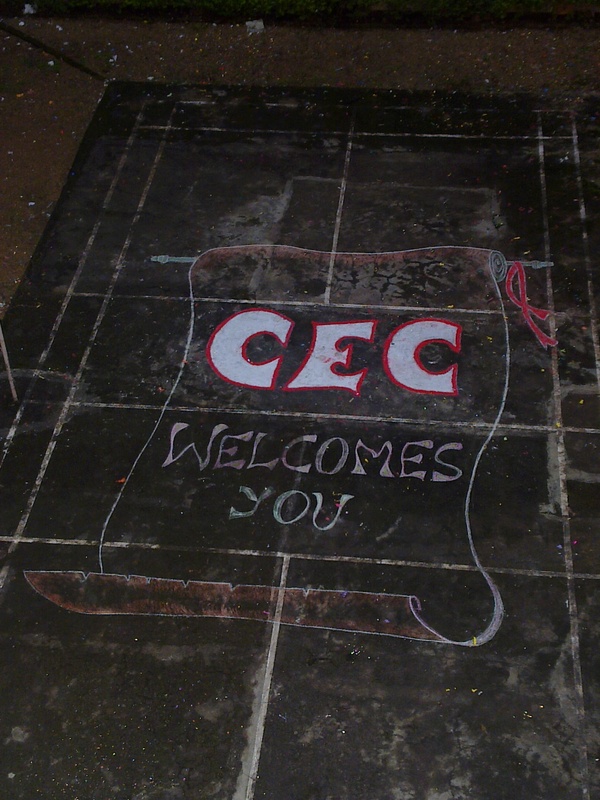 The freshers (B.Tech 2014 batch) were given a magnum opus welcome on 27th July, 2010.They couldn’t have felt anything but home when the centre court was lighten up with the words “CEC welcomes you”. An array of seniors stood in their way to greet them on their big day. Later what followed was something which we have only seen in movies, the seniors flocked together in the centre court and amidst thunderous claps- the sound of pista united each and every soul of CEC. And in that perfect moment balloons flew from the terrace which was followed by the party blasters from 8 different directions which created a spectacle for everyone to watch. The freshers are here, our college’s legacy is now in safe hands. This entry was posted in 2014 Batch, Fun, Other and tagged 2012 Bloggers, 2014, Celebrations, Freshers, Juniors, welcome. Bookmark the permalink.